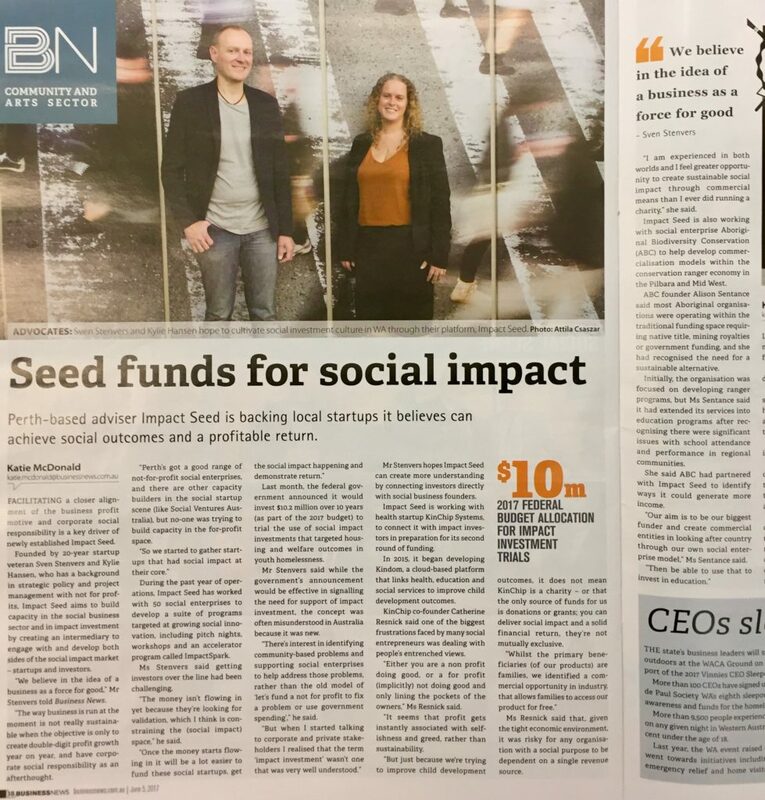 Impact Seed was the culmination of a chance meeting between Co Founders Kylie Hansen and Sven Stenvers in 2012. After a 15 year background in tech, telecommunications and clean energy startups, Sven exited his renewable energy venture in 2011, continuing to focus his passion for working with and building purpose driven organisations. Kylie was then Chair and CEO of Cambodian/Australian social enterprise, Empowering Communities, having just returned to a Perth, and was concurrently working in roles across the WA NFP sector and completing her Graduate Certificate in Social Impact at UWA. Over the next 2 years Sven and Kylie sought to further align their life and work with with their values, exploring the innovation landscale for investable WA social enterprises. What they found was a WA startup, innovation and investment ecosystem which was overtly tech-centric, in which you were identified as “either a business, or a social enterprise, not both”. 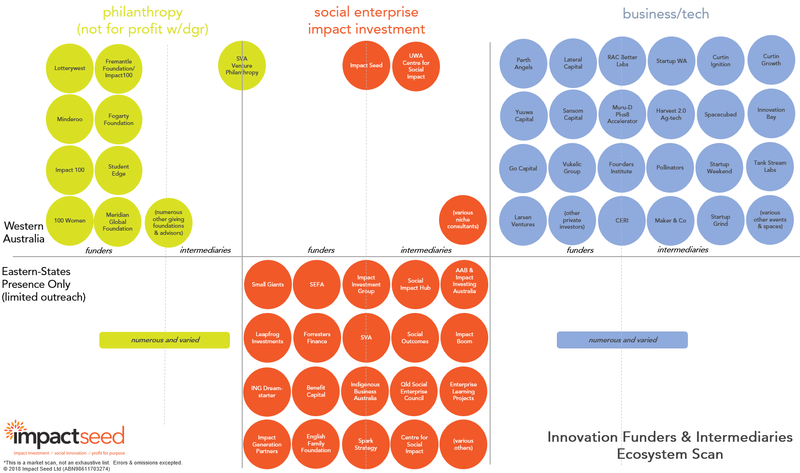 Not satisfied with WA’s lack of support for social enterprise development, social innovation, and impact investment, Impact Seed was formed in 2014. Today it is Western Australia’s peak advocacy organisation for impact investment and social enterprise development. Its work focuses on market development, growing participation and engagement with impact investment and social enterprise, and influencing policy. We have supported over 100 founders, numerous not for profit, business, investor and government stakeholders, built an active government advocacy profile, along with a range of incubation, education and innovation programs, workshops and events. Impact Seed is part of the rapidly emerging Impact Investment ecosystem which aims to solve society’s greatest social and environmental challenges through the power of the markets. 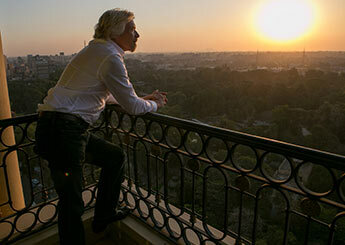 We believe social enterprise is the future way of all business. Consumer choice is increasingly driven by conscience, not just product value. An overwhelming majority of under 40’s believe business’ purpose extends beyond profit and 60% of HNW’s see driving social impact with their investments as ‘extremely or very important’. We are passionate about growing impact investment alongside business, investors, foundations and not-for-profits wanting to integrate social impact as mission aligned investments. Our founding team have diverse and successful experience in commercial, startup, not for profit and social impact sectors in Australia and globally, and are passionate about bridging the gap by driving social innovation and social enterprise development through impact investment. The Impact Investment Proposition.. Makes Commercial Sense. Social Impact Business = Highly bankable. Best of brand-equity and value proposition. Impact Seed is committed to building the capacity of both investors and social impact businesses to find and understand each other, and then to partner.